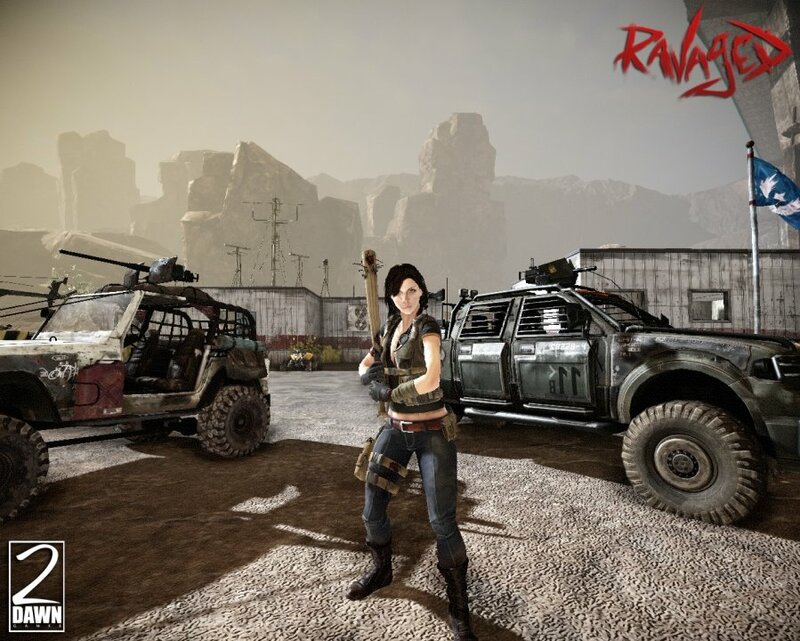 A handful of new images have surfaced for Ravaged, the upcoming, post-apocalyptic action-oriented multiplayer game, and some of them show off the sexier side of living in the wasteland. 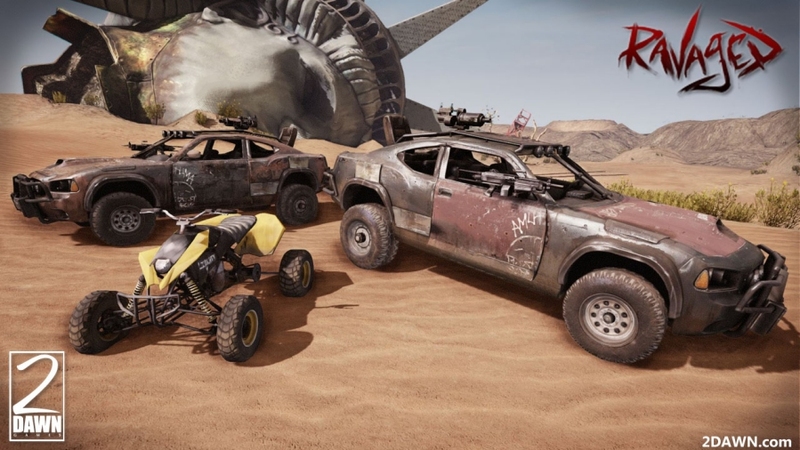 2Dawn Games has been hard at work on Ravaged, as they focus on a more fun, over-the-top multiplayer experience as opposed to just cashing in on a trend. 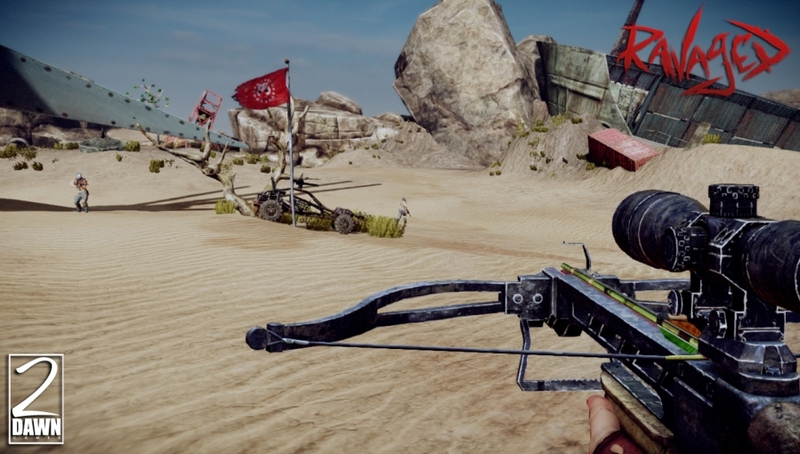 The game looks extremely fun and 2Dawn has brought experience from Frontlines: Fuel of War and Battlefield to Ravaged, featuring awesome vehicular-based combat, on-foot combat, melee combat and a number of classic and makeshift weapons. The screenshots below show off the tough-as-nails female warriors, one from the Scavenger side and the other from the Resistance. 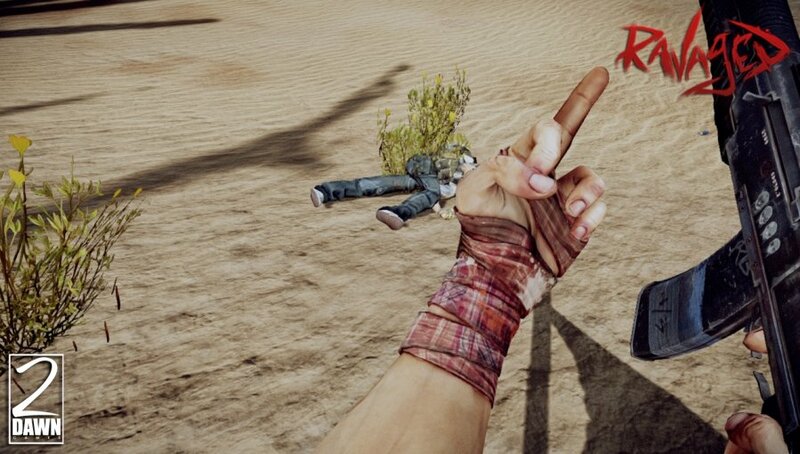 Both sides are fighting for resources and control, and it's up to players to pick a side and fight to the death. There are also a number of vehicles at the disposal of both sides, including trucks, cars, dune buggies and even gyrocopters. You can keep track of the development of Ravaged or learn more about the game by paying a visit to the Official 2Dawn Games Website.